An exciting adventure of self-discovery! You, my darling, have an inner light. You may be in a place right now where you find that hard to believe. But it is true - the Angels have told me so. 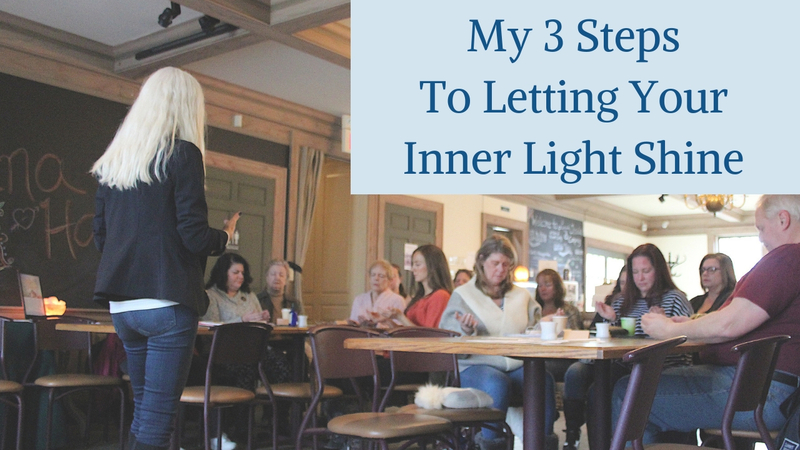 If your inner light is not shining as brightly as it could - as it should - then we need to break down the barriers that are blocking your radiance. And the first step to doing that is to gain clarity on what these blocks are. I remember when my I began hiding my gifts. Throughout my youth and young adulthood, there were many difficulties that I went through, many struggles and many times when I felt wrong for what I was seeing and feeling - and I felt alone. Fear had me believing the worst about myself, and I was engaged in an internal war against loving myself. Now on the other side of what I call my ‘separation from love’, I have learned how to call Shmego out on the lies he once had me believe in. By leaning into Divine love, I know now that I was never alone in these struggles. I know that that was Shmego’s trick to keep me scared and away from Divine love, and instead of growing closer to God I learned to downplay my gifts and play small. Because we lose our way and follow fear, we inadvertently allow Shmego to quiet love’s voice and end up stepping away from Divinity instead of leaning into the miracles meant for us. I also know that every single person that walks the face of the earth has their own path to walk through, struggles, difficulties, trauma, losses and grief to experience and I want you to know that you are not alone. The truth is that our inner light shines when love is present within our everyday. Our inner light is our truth, the core of who we are our Goddess soul-self. Leaning into love can feel uncomfortable at first. We must learn new ways of engaging our thoughts, of changing our reactions, of letting go and surrendering the control we think we have. When we lean into love, our intuition opens allowing Divinity to guide us through an invisible energetic connection. Our inner light blossoms and grows as we engage new practices of releasing old patterns and dwelling in a love that was meant for us. Getting to know our soul-self is how our inner light will shine radiantly. The formula for our inner light to shine is a self-discovery adventure. Become your own best friend. Just as with any new relationship you begin, you will have to get to know everything about yourself. You will find the more you understand about yourself, the clearer your intuition will become. Believe that love supports you. Faith is a superpower that will always support you. Your faith is your strongest asset - and when you pour your attention into it, it will grow and strengthen. The stronger your faith, the more you will shine your inner light! Leverage your weakness. Turn the things that you feel are your weaknesses around into your strengths by seeing them as a call for love. For instance, say you are a procrastinator: look at the real reason why you put things off and then welcome in time for rest and rejuvenation. By adding in time to meditate and clear your head you are restoring your energy and, in return, your mood will uplift, and you will be more likely to accomplish the tasks at hand. Angels Don’t Lie Facebook group!